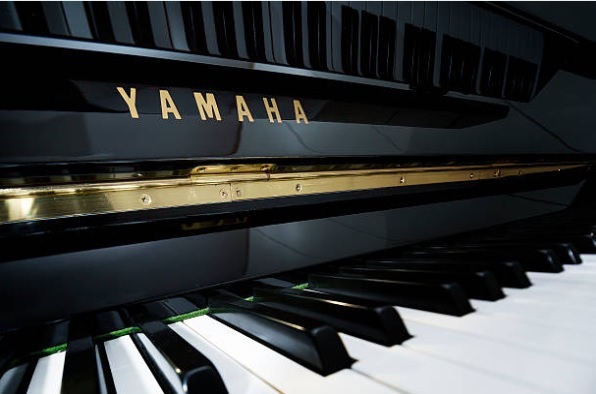 Yamaha has been building fine pianos for more than 100 years! During that time there were big and small growing pains. For example in the early days of exporting pianos from Japan to the United States, there were problems with some of these instruments. In Japan, the population enjoys high humidity. The Japanese people keep their homes, their buildings, and even their restaurants at temperatures and humidity levels far different from what we are accustomed to in North American. The Japanese are comfortable living with temperatures in the 90’s with humidity levels to match! And because of this fact, Yamaha has always built the domestic (Japan) pianos with high moisture content. However, when these domestic pianos were first brought to the United States during the 1960’s, the pianos quickly began to experience problems. Here in North America, we traditionally like to keep our homes warm and dry in the winter and cool and dry during the summer. Our comfort level is much different than the comfort level of the average Japanese home. And, because we like our surrounding conditions much drier, a piano with high moisture content will begin to dry out and lose its high moisture. When this happens, glue joints may open up, veneers may lift and, in a worst-case scenario, the soundboard could crack or even split. 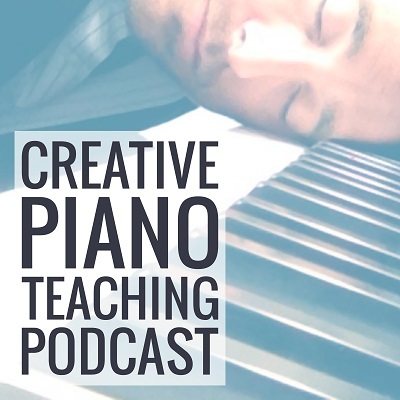 Tunings are a common service that all piano owners have heard of but many people have misconceptions concerning the actual work performed and the benefits to the instrument and the player. All pianos are designed with definite tension requirements. Without proper tension, the note will not move the soundboard efficiently and the tone will be short and considered “dead”. By tuning on a systematic basis, the internal pressures of strings, soundboard and bridges all balance to produce what is a relatively long properly sustained note, as designed in the factory. A properly manufactured piano has a considerable amount of pressure designed into its structure. A spinet piano has about 12 tons of pressure across the back and a concert grand can hold up to 23 tons of pressure. As a piano drifts out of tune these pressures change and it can take several tunings before the piano will be stable enough to remain in tune and sound pleasing again. Piano Tuning School (PTS) has one of the finest, if not best, piano schools in New England. The Piano Tuning School has state-of-the-art facilities and 7 piano teachers who have all received Masters Degrees from prestigious schools in the former Soviet Union and throughout Europe. The Piano Tuning School’s Director, Yelena Prizant, earned a Bachelor’s Degree in Piano Performance and Accompaniment from Rimsky-Korsakoff Conservatory in St. Petersburg, Russia and earned her Master’s Degree in Piano Performance and Accompaniment from Tallinn Conservatory in Tallinn, Estonia. 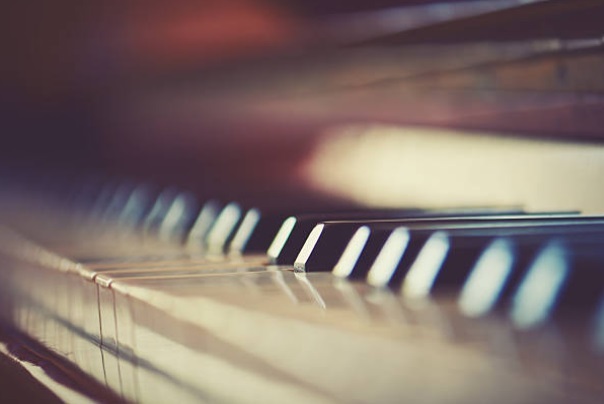 Ms. Prizant has been Director of our Piano Tuning School for 10 years and has hand picked a staff of instructors with comparable credentials that are warm, friendly, patient people who can determine the best course of action for you or your child. Their goal is to bring out the best in a student, and they take great pride in helping them discover the joys of playing the piano and the ‘magic’ and rewards of mastering their early pieces. Having ‘fun’ while learning to play the piano is the overall goal. 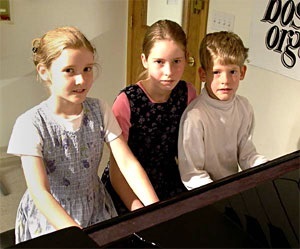 Sarah, Hannah, and Jacob Hargrave take a break from their weekly piano lessons. 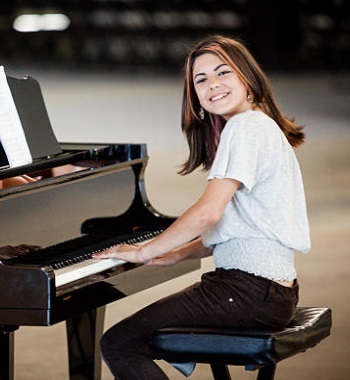 Our instructors will spend time before hand with you or your child to determine musical interests, learning abilities, and the level of intensity or passion a student has for learning piano. It is important for us to know that a student truly wants to learn and is not being forced to learn. The student will actually play the piano from the very first lesson. The teacher will ‘hand-set’ their hands to make chords and introduce them to the sight-reading of sheet music and music theory. They will be taught about touch and tone, as well the rhythm between lyrics and music. 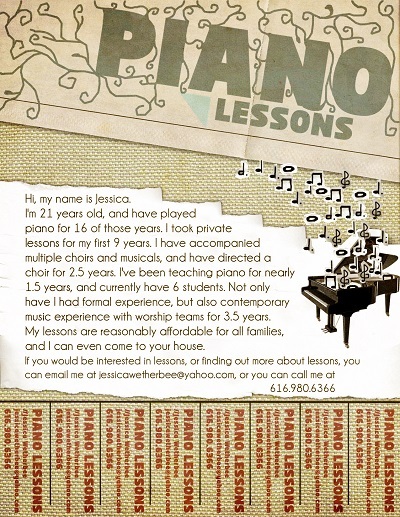 Jessica is the founder of Piano Tuning School and has been running courses on piano maintenance and giving music lessons to students in UK.